After a frustrating start to the day with the original race red flagged due to deteriorating weather conditions, the 2013 SuperTwin Manx Grand Prix race finally got underway at around 2pm. The restarted race was cut to a two-lap shoot out. 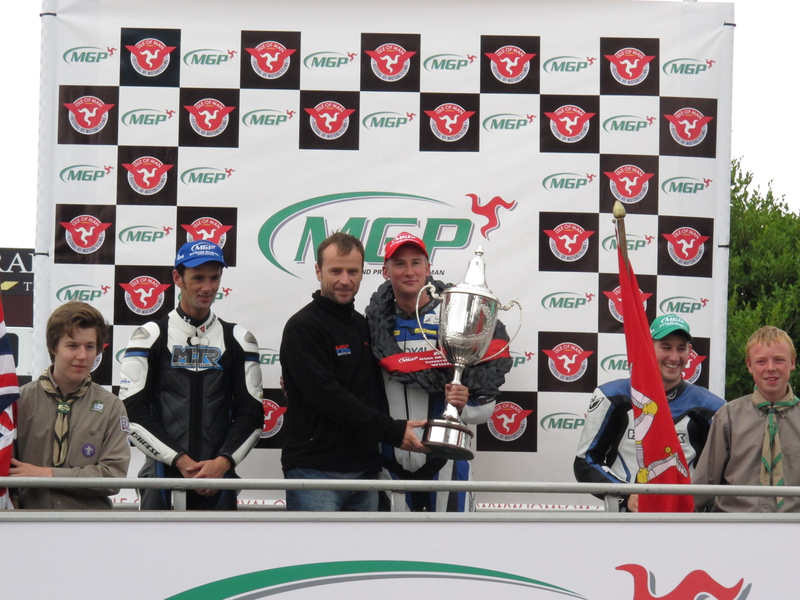 Stephen McKnight, was first away in the SuperTwin Class on his Suzuki but Brian Mateer, who was third in the 2012 Race and who was due to go away second, was withdrew early this morning leaving a gap to Mike Minns who started twenty seconds after McKnight. James Cowton, who ran out of fuel in sight of victory in Wednesday’s Junior Race, experienced more frustration when, having built up a commanding lead in the red flagged race before retiring at Sarah’s, he was unable to repair his machine so had to sit out the restarted race. Sweeney, Wednesday’s Junior race winner, was fastest to Glen Helen a couple second ahead of Phil McGurk with Tom Snow, who was late coming up onto the grid after retiring in the first race, holding third. However, by Ballaugh Michael Russell, the 2009 Manx Grand Prix winner, had moved up into third from thirtieth on the grid and Russell was clearly on a charge as he led at the end of the opening lap with 21:01.100/107.71mph from Michael Sweeney who clocked 21:02.623/107.58 with Wigan’s Rob Hodson (21:13.505/106.66) in third. The leading pair swapped the lead on the second lap with Russell infront by a second at Ballaugh but Sweeney moving into a two second lead at Ramsey. Sweeney still led by two seconds at the Bungalow but Russell had cut the lead to less than a second by Cronk Ny Mona. Sweeney crossed the line in 41:58.390/104.924 and there was then a long wait at the grandstand before Russell finished and was confirmed the winner, in 41:57.777/104.950, less than a second ahead of Sweeney. 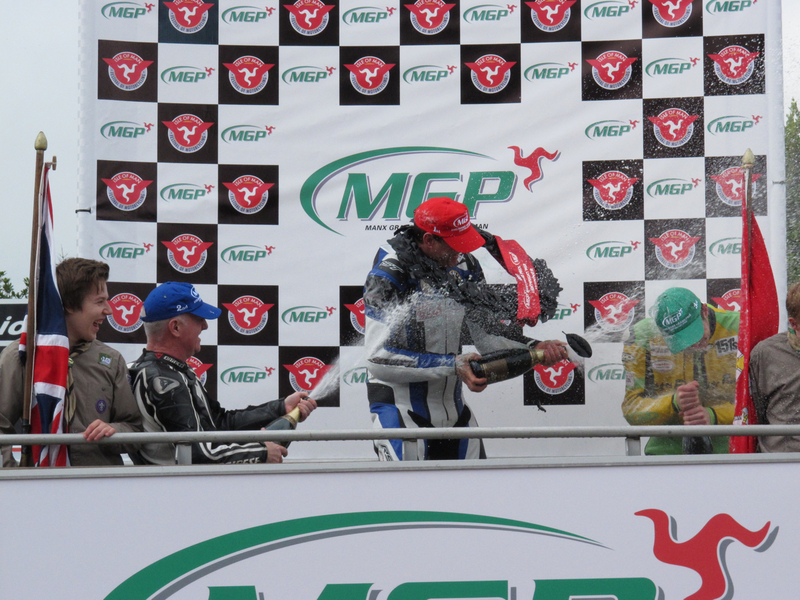 Rob Hodson, who finished fourth in the Newcomer B race last year, took the final podium place with 42:32.571/103.579. Other notable finishers included Chris Mitchell (48:50.81/90.159), who made history earlier in the week by becoming the first one armed competitor. Nick Jefferies, the 1983 Senior Manx Grand Prix winner and 1993 Formula One TT race winner, also achieving a top ten finish (43:49.241/100.500) in his first Mountain Course meeting since the 2002 TT Races. 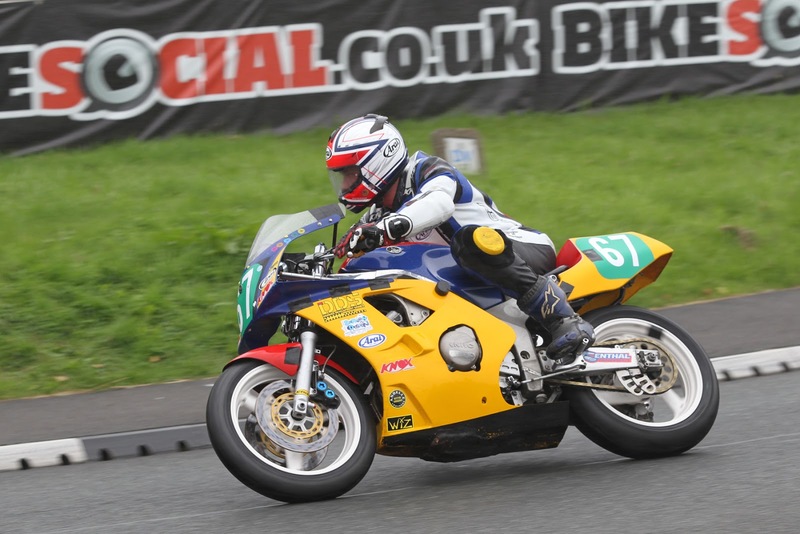 In the Lightweight race, run concurrently with the SuperTwin, Alistair Haworth finally got his race win after being forced to retire when he was leading last year’s race. 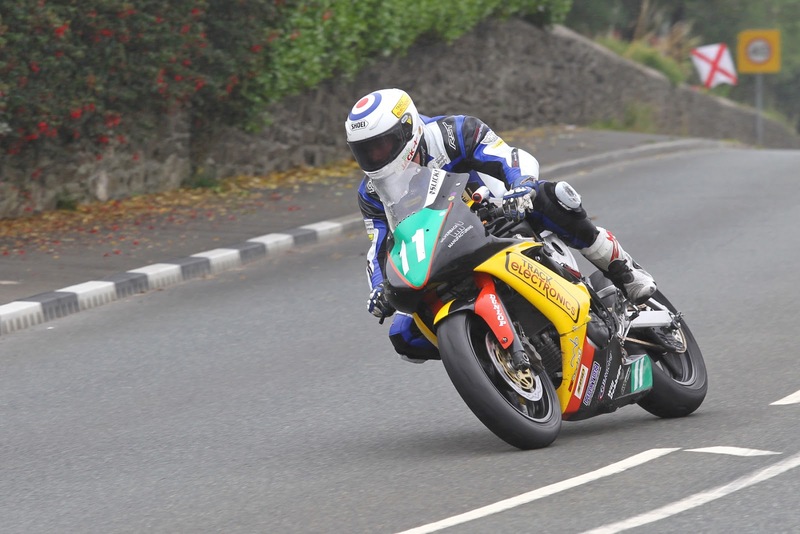 The Cumbrian man, who has competed in the Manx Grand Prix since 2006, led from the first sector at Glen Helen and his opening lap of 22:11.314/102.026 gave him a ten second lead over Colin Martin (22:21.095/101.28) with Alex Sinclair (22:48/841/99.083) in third. That remained the top three at the end of the second lap with Haworth taking the race win in 44:29.953/98.968 from Martin (44:46.148/98.371) with Sinclair (45:52.812/95.989) taking the final rostrum place. However, with conditions deteriorating around the mountain course, the Clerk of the Course announced that the meeting was being abandoned which meant that the Senior Manx Grand Prix was cancelled for only the second time in its history, the first being in 2007. Carl Roberts (Governors) in the original red flagged SuperTwin race, Colin Stephenson (Quarterbridge) and Stephen Ault (Braddan) were all reported off but okay following incidents in today’s racing.